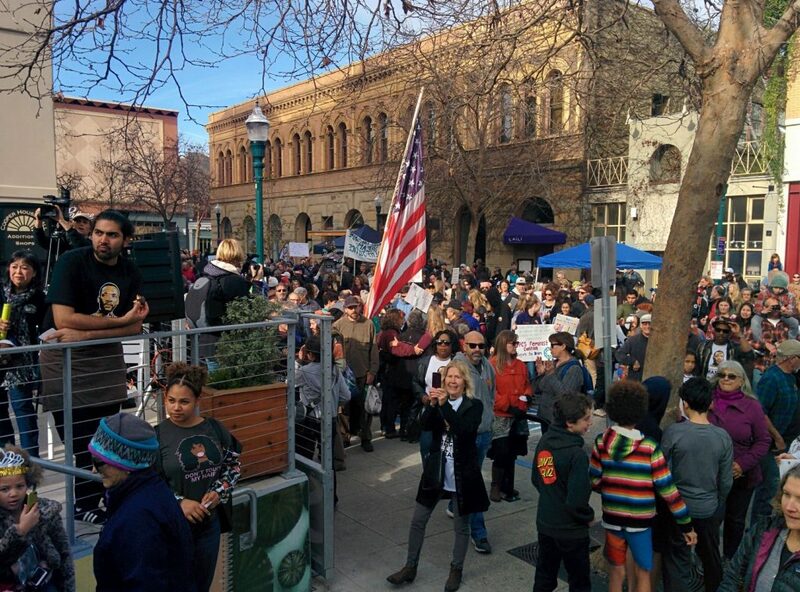 Large gathering and uplifting addresses this morning downtown Santa Cruz, in memory, celebration, and continuation of MLK’s spirit. Police officers didn’t wear weapons. “The time is now,” as David Anthony repeated and the crowd chanted. Let’s not wait for tomorrow’s managed messianisms.